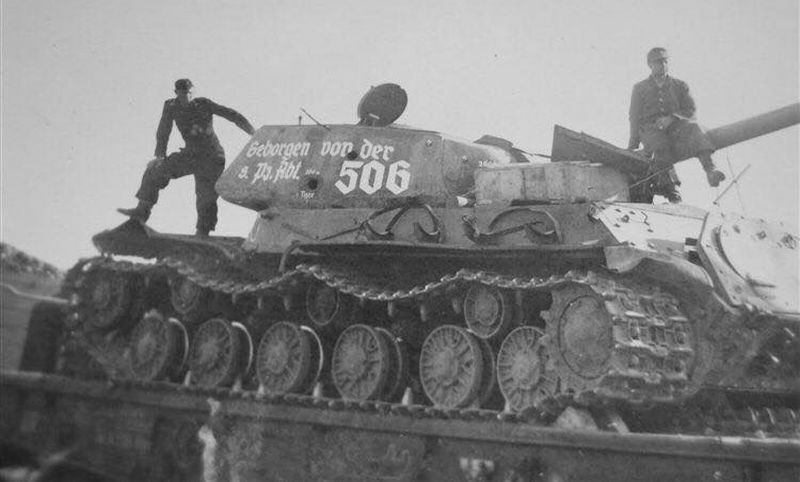 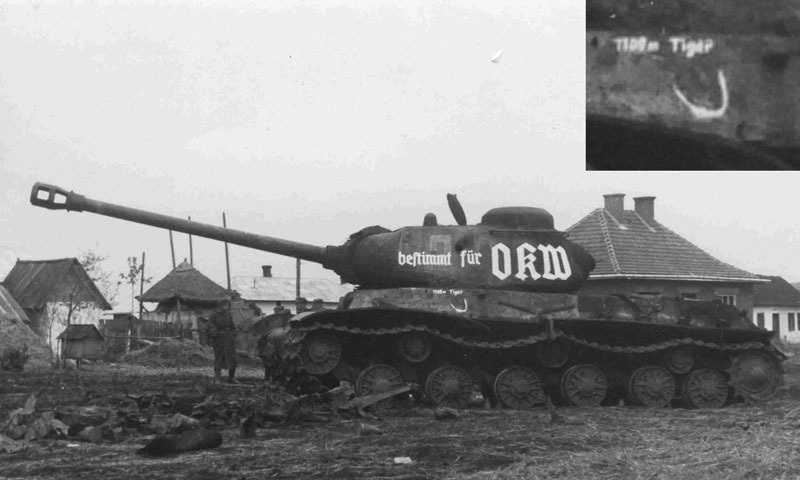 IS-2 (early production) as “Deutsche Beute”. 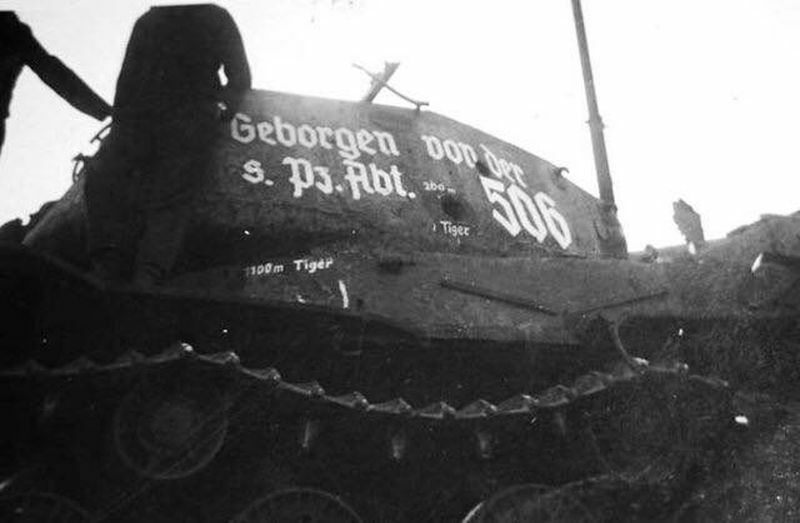 Probably later this tank come in Kummersdorf collection. 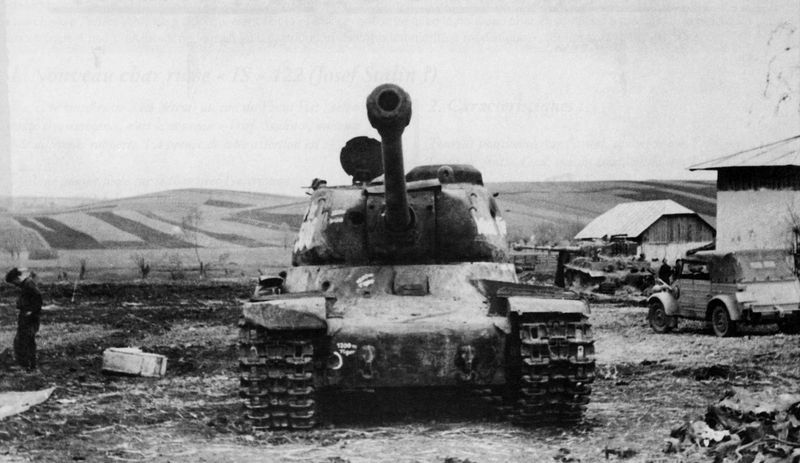 At the side stands: 1,100 m Tiger.